I hope everyone had a fab weekend full of warm weather and sunshine. Surprisingly, we actually did have some warm weather and sunshine so it was a home run weekend for us! We spent Friday night out to dinner and I won't lie, I loved every single second of our time together. I'm doing my best to soak in all of the "normal" things that we do, just the two of us, that will become a whole new ball game once the babe arrives. Justin was sweet and put away the work phone for our dinner and I loved getting to have some one on one time with him. One thing's for sure, he works very hard here with endless hours. And speaking of endless hours, he spent some time Saturday at his office but since it was disgusting and rainy outside, I didn't mind one bit. I spent the afternoon under the covers watching bad TV (another thing I'm sure I'll have a tough time doing when my sweet screaming bundle arrives). Sunday was the best day. We decided to head two and half hours south to explore an area of Southern Maine called Old Orchard Beach (full disclosure: we had another little project up our sleeves but you'll have to wait for details on that!). I think a lot of people assume that since we live in Maine we must live near a rocky coast with a gorgeous lighthouse....um, no. We live in Northern Maine and can get to the Canadian Border quicker than the Massachusetts state line. Anyway, being on the beach was Heaven on Earth. Most of Old Orchard was still shut down for the Winter Season but that was ok with us. We just wanted to wander around and be in the sun. The temps were an entire ten degrees warmer than ours at home, even with the wind blowing off of the ocean, and all I wanted to do was lay down in the sun. The beach is so wide and during certain times you can ride horses on the beach! We must have seen a dozen people riding gorgeous horses up and down the beach....it was so amazing. Instead of sprawling in the sand to soak up the sun or riding a steed up and down the strand we ate Lisa's Pizza, which comes with a bag a fries (best idea ever: a pizza combo with a side of fries). My preggo self currently loves oil and vinegar so I doused my fries in vinegar and ate them like I was afraid someone might take them away from me. 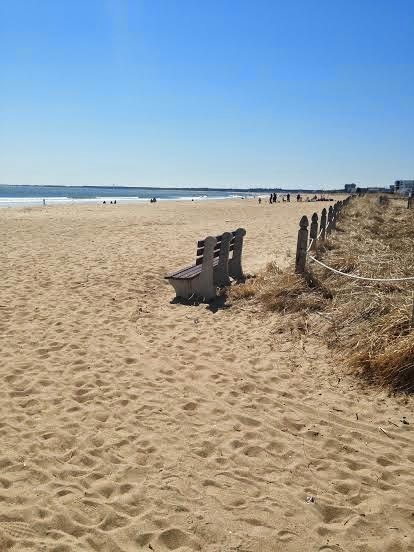 Justin and I can't wait to head back to Old Orchard Beach during the Summer season...we're guessing based on the number of beach side clubs and bars that it might get a little rowdy around there! And we are so in. On the way home we stopped in Portland for a bit and then it was home to nap and rub my feet because my belly is starting to weigh me down in a serious manner. Gross. This is a big week for me! Tomorrow (at the crack of dawn) I head to Virginia for a week.We have lot's of celebrating to do in my family and the week is jam packed with activities. 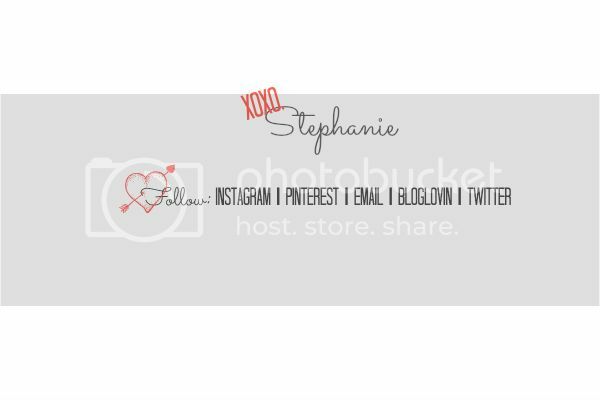 I'll be blogging from there and can't wait to fill ya'll in! Looks like such a nice day, and you look adorable with that belly! Omg you look adorable! I love Maine! Bar harbor is so fun. Are you working since you moved to Maine? I hope you enjoy your visit home ! I'm so happy the weather was great for you!! 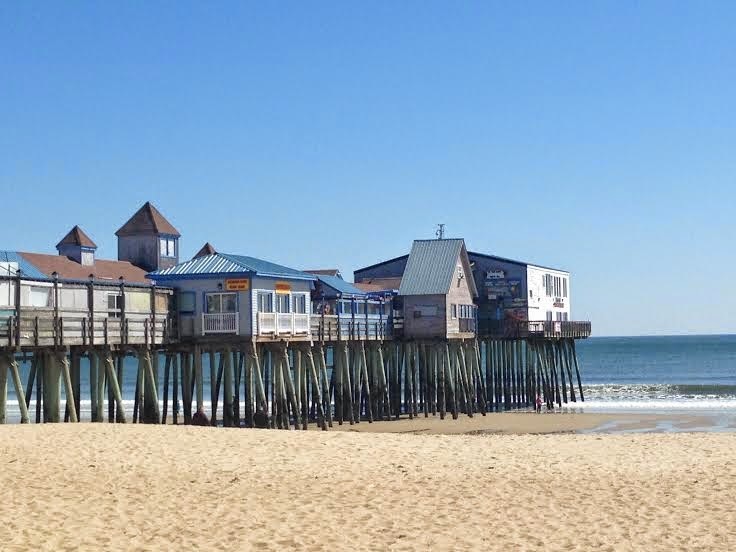 I honestly haven't heard of Old Orchard Beach in Maine but I'm going to plan a day trip there this summer!! 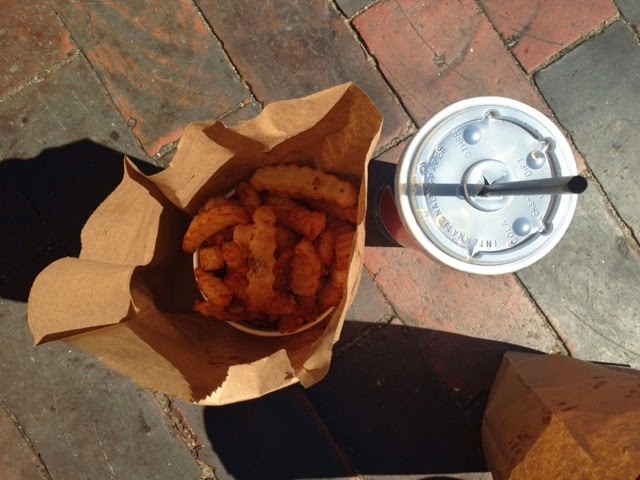 Sounds like a perfect day trip for some vitamin D! I totally thought all the beaches up there were rocky! Cute! Have a safe trip down here! So happy you got to not only escape to sunshine but escape to the coast! Nothing picks my mood up quicker!! That beach looks so beautiful! So glad you had a day to escape the cold! Gorgeous place! Exactly what I imagine Maine to look like! you look so great and I'm glad you loved OOB! When the little bebe is new, you'll have loads of time to snuggle and watch bad tv together while he eats and sleeps - you'll love it!